With history dating back thousands of years, Ireland is a fascinating place. Occupying the vast majority of the island of Ireland, the Republic of Ireland is home to around 4.8 million people. Its capital city is Dublin and it is well-known as a popular touristic hotspot for its friendly vibe, amazing outdoor recreation opportunities, historic castles, stunning coastline, musical pubs, and so much more. There's a lot to do and see in Ireland. Those visiting Dublin, for example, can stop off at the Guinness Storehouse to learn more about one of the world's biggest beer brands or check out key locations like Dublin Castle and Phoenix Park. Meanwhile, those heading south to the city of Cork will find some amazing churches, cathedrals, and other buildings dating back hundreds of years like Saint Fin Barre's Cathedral and the Blackrock Castle Observatory. The wonderfully charming city of Galway is another popular touristic destination in Ireland, home to some colorful pubs and a gorgeous Cathedral. No matter where you happen to be heading on your Irish vacation, you'll find that there are a lot of good hostels around this country. Hostels are very popular in Europe, with many backpackers and young travelers choosing to stay in hostels for their low prices, fun facilities, and useful communal spaces that let them meet other travelers and share ideas. 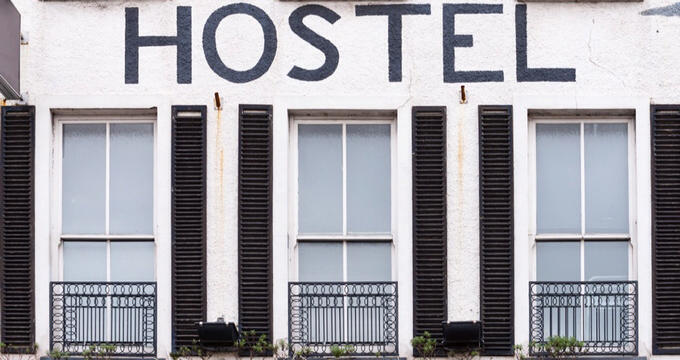 Read on to learn all about just a few of the best hostels in Ireland. Conveniently located right by many of Dublin's best and most popular attractions, the Generator Dublin is one of Ireland's best hostels. Part of the trusted Generator chain, this amazing hostel is housed in an old distillery building, with beautiful brickwork and original features found throughout to add a major touch of class to the overall experience for every guest. You'll find the Guinness Storehouse, Ha'penny Bridge, and Dublin Castle all within walking distance too. This hostel offers both shared dorms with bunk beds and private rooms too. There's also a special female-only suite with its own jacuzzi that lady travelers will love. Other fun features and facilities at this Ireland hostel include high speed internet access throughout the building, a hip bar/cafe area with great drinks and food, and plenty of spacious communal areas to hang out in. Located in a central position in the city of Galway, the Galway City Hostel is another excellent Ireland hostel option for you to check out. Housed in a gorgeous old brick building with bright colored signs outside and bold decor indoors, this hostel offers great transport links around the city and is only a short walk away from key landmarks and monuments like the Spanish Arch, Eyre Square, and the Galway Cathedral. You'll find clean, spacious dorms at this hostel for some really low prices, with the Galway City Hostel being one of the most affordable hostels in all of Ireland. It also offers free breakfast each morning and free internet access for all guests at all times too. There's also a complimentary luggage storage facility at this hostel, as well as an on-site bar and communal lounge/dining area. A great option for visitors to the beautiful, historic southern coast city of Cork, the Bru Bar & Hostel is right in the center of the city, offering easy access to local bus stops and landmarks like the English Market, the Blarney Stone, Saint Fin Barre's Cathedral, and the Shandon Bells and Tower of St Anne's Church. This laid-back hostel features free Wi-Fi access, along with comfortable dorms with bunk beds and storage space. You'll also find a large communal kitchen and dining area to enjoy meals with your fellow travelers, as well as a bar that offers a great range of drinks at super low prices and hosts local bands and singers for music shows in the evenings. If you're looking to head off the beaten track a little and stay in an Ireland hostel with a difference, take a look at the Aille River Hostel Doolin. Located out on the country's western coast in the little area of Doolin, a short journey from Doolin Cave and Doonagore Castle, this hostel is very special indeed. The hostel is actually housed in a gorgeous old cottage right on the banks of the river. The cottage dates back several centuries and features cozy rooms with good quality furnishings and clean bathrooms. The staff are very friendly and there are several communal spaces like a kitchen, dining area, and lounge for guests to enjoy. You'll also find an outdoor terrace/patio area enjoying views over the river, and all guests are given a code for free Wi-Fi access during their stays as well.